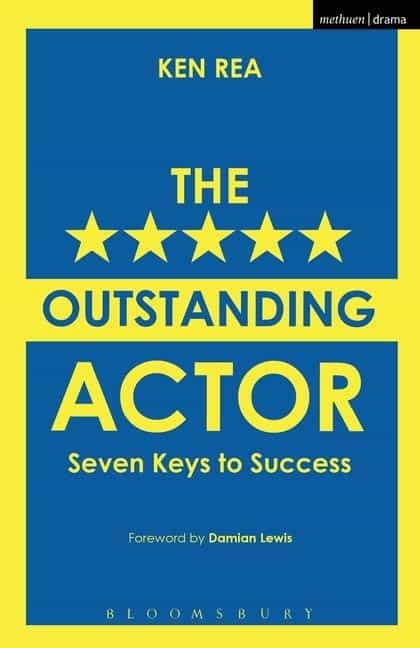 ANDREAS RESCH: Ken, your four-day workshop at Schott Acting Studio is called Become An Outstanding Actor. What does it mean to be outstanding as an actor? KEN REA: The thing that most interests me is: How do you bring out the individuality of an actor in order to heighten his or her personal charisma on stage or on screen. This will help them to get exciting work and have a good career in the sense of getting the job. It is all about imagination. The acting choices of some actors are fresher than everyone else´s. You can never be sure what they are going to do next, they are unpredictable. Which leads us to the question of danger. What do you mean by danger? By danger, I mean the tension between the actor and the audience. That complicity between actor and audience is very, very important because audiences like to be surprised. How do you learn to be dangerous as an actor? You have got to be comfortable with taking risks. And in order to become comfortable with taking risks, you have to be comfortable with accepting failure as a necessary step within the creative process. This is true in just about every field, isn´t it? Whether it is in science, in business or in sport: People who really succeed accept failure as a necessary step towards success. If you always play it safe, nobody will get excited by that. So that is what I try to do in my workshops: to help to bring out the imagination of actors so that they can take risks and widen their range of expression, to come up with exciting acting choices. Another aspect of my work is to help actors to get the job in the first place. A lot of very good actors let themselves down because they don´t bring the right energy into the Audition Room. They may be lacking confidence. They might mumble or look down and avoid eye contact. You might ask: How can an actor do that? But off-stage, without the script, actors are just as vulnerable as everyone else. 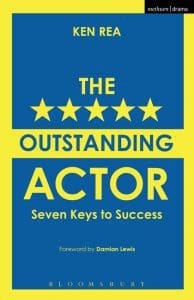 In your long career you have taught some now-famous actors like Ewan McGregor, Orlando Bloom or Daniel Craig. Is there something special about those few who are enjoying a successful international career? I think there is one quality those actors have in common and that is that they are naturally enthusiastic. Enthusiasm is one of the most important qualities for an actor. But how about talent? Isn´t that the most important thing? Of course those people have talent. But in addition to that they have a drive, an enthusiasm, that allows them to take the kind of risks they need to take in order to achieve their full potential. So when I work with actors, I try to encourage their enthusiasm. The most important thing is to provide an atmosphere under which the actors can truly be playful. Young children play in an uninhibited way. Then the education system tends to knock people´s imagination and playfulness out of them and they arrive at drama school with all that pushed away. So part of my work is to create an environment where actors can learn to play again. Is your workshop only for experienced actors or also for beginners? The workshop is for all actors as long as they have had some initial training.